St. Kuksha (in the world, Kosma Velitchko) was born on January 12, 1875 in the village of Arbuzinka Kherson region, Nikolaev Province. His parents were the pious and Christ-loving Kirill and Kharitina Velitchko. In her youth, Kharitina dreamt of becoming a nun, but at her parents’ insistence, married. Nevertheless, she prayed to God that one of her children would fulfill her dream and enter the monastic life. This prayer was answered in her boy Kosma, who from childhood loved prayerful solitude and study of Holy Scripture. In 1896, with his parents’ blessing, Kosma went to Mt. Athos, and was received as a novice at the Russian Monastery of St. Panteleimon. In 1897, Kosma received a blessing from his abbot to make a pilgrimage to the Holy Land. Here Kuksha would receive mysterious signs of the grace he would bear in the future. At the pool of Siloam in Jerusalem, many childless women were trying to be the first one to step in, because this was known to bring healing of barrenness. But the youth Kuksha happened to fall in before them all, which the women took jestingly as a sign that he would have many children—only these would in fact be spiritual children. Again, in the Church of the Resurrection of Christ in Jerusalem, another sign was shown. At the Lord’s Sepulcher, as he was venerating, the central oil lamp suddenly spilled its oil all over him. The pilgrims there all crowed around to wipe the oil from the youth and anoint themselves with it as a blessing. A year later, Kosma would return to the Holy Land and be worthy of an obedience at the Lord’s Sepulchre for a year and a half. Later St. Kuksha would tell his spiritual children that no matter where he was, in prison or anywhere else, he was mentally always at the Lord’s tomb. One day as they were standing in prayer, the elder and his spiritual son heard a wedding party coming toward the cell—horses trampling, accordions, singing, laughter, and whistling. “Father, how could there be a wedding party here?” asked monk Konstantine. “Guests are coming, we have to go out and meet them,” answered the elder. The elder took his cross, holy water, prayer rope, and went out of the cell to sprinkle holy water all around. Singing the troparion to the Theophany he blessed four directions with the cross, and the riotous noise ceased. Monk Ksenofont had very little education but he knew the entire Gospels and Psalter by heart. He sang the Church services also from memory, and never made a mistake. There on Mt. Athos, the monk progressed greatly in the monastic and spiritual life. But in 1913 the time came for him to return to his homeland, against his own will. The Greeks were sending many Russian monks away, and he was among them. At first Fr. Ksenofont declared to his elder that he wanted to die on the Holy Mountain, but the wise anchorite replied that it was God’s will for him to return to Russia for the salvation of souls there, and revealed to him another sign of God’s special blessing. Then the elder told him not to fear and bade him rise, only to see the sky as it usually was, now filled with stars. This vision would later strengthen Fr. Kuksha in his sorrowful life of prison, exile, and persecution. In 1913, the athonite monk settled in the Kiev Caves Holy Dormition Lavra. During the First World War, in 1914 he served as a nurse on the Kiev-Lvov train; after returning to the Lavra he was given the obedience of tending the relics in the far caves. Fr. Ksenofont wanted very much to receive the Great Monastic Schema, and on April 8, 1931 he was tonsured with the name Kuksha in honor of Hieromartyr Kuksha, whose relics are in the Near Caves. On April 3, 1934, Fr. 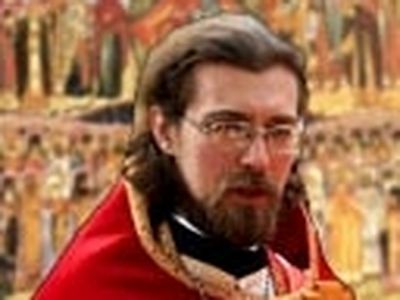 Kuksha was ordained a hierodeacon, and on May 3 of the same year, he was ordained a hieromonk. After the communist authorities closed the Kiev Caves Lavra, Fr. Kuksha served until 1938 in Kiev at the church on Voskresenskaya Slobodka. It took great courage to serve as a priest in those times. In 1938, Fr. Kuksha began eight years of difficult struggle as a confessor of the faith: he was sentenced to 5 years in the camps in Vilma in Molotov Region (now called the Perm region, in the Urals) and after that, to 3 years of exile. In the camps Fr. Kuksha had to work fourteen hours a day in exhausting physical labor as a logger on very sparse food rations. He was in his sixties at the time. Accustomed to hard work and deprivations, he bore it patiently, always giving moral support to the other prisoners. Fr. Kuksha was released from prison camp in the spring of 1943, on the feast of Holy Great-martyr George the Trophy-bearer. He was sent into exile in a little village near the town of Kungura in Solikamsk Region (the northern Perm Region). With the blessing of the bishop of Solikamsk, he often served in the neighboring village church. People were drawn to him as they are drawn in the night to a lighted lamp. In 1947 his exile ended, and his eight years of spiritual struggle as a confessor of the faith came to a close. In all that time, nothing had separated the Elder from the “love of God” (Rom. 8:39), and, as a valiant warrior of Christ he emerged from that terrible battle victorious. In 1947 Fr. Kuksha returned to the Kiev Caves Lavra, and was received by the brethren with great joy. Now not only experienced in monasticism but also tried in the fire of suffering and sorrows, Fr. Kuksha served the people as a spiritual father and elder—strengthening their faith in those difficult times and healing them both physically and spiritually with his prayers. It was just as in the Lord’s Sepulcher when the crowds came to be healed by the grace-filled oil that poured from him. The God-hating regime continually harassed the worthy one of God. He was constantly watched and persecuted. The authorities did not want him in Kiev, and in 1951 Fr. Kuksha was transferred to the Holy Dormition Pochaev Lavra. There he stood by the miraculous icon of the Pochaev Mother of God as the brothers and pilgrims venerated it, and bore the obedience of hearing confessions. One spiritual daughter wanted to know what it was like when Fr. Kuksha served the Liturgy. “One day,” she related, “I came to the caves church when Fr. Kuksha was serving the Divine Liturgy. I immediately felt my soul was very close to God, as if there were nothing but God and me. With every proclamation by Fr. Kuksha my soul rose higher, and such grace filled it, as if I were standing before the Face of God in heaven. My soul felt pure as a child, extraordinarily bright, light, and joyful. Not a single other thought distracted me from God. 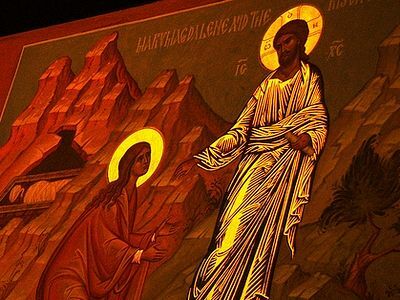 I remained in that state to the end of the Liturgy.” After the Liturgy, when the woman saw elder Kuksha he looked deep into her eyes to see the state of her soul. She understood that the elder had given her this gift of experiencing the blessedness that he always felt when celebrating Divine Liturgy. Also concerning the Liturgy, Fr. Kuksha told people never to approach the chalice with money, for this likens them to Judas. At the end of April 1957, during Passion Week, the Elder was transferred to the Monastery of St. John the Theologian in Kreschatik, Chernigov Diocese. Life in the little Monastery of St. John the Theologian was very peaceful and simple. Elder Kuksha’s arrival at the monastery had a beneficial effect on it, reviving the life of the brethren. As sheep hurry after their shepherd no matter where he might lead them, the good shepherd’s spiritual children streamed to the peaceful monastery of the Apostle of love. In the early 1960s, the devil unleashed a new wave of persecution upon the Church. A new generation of militant atheist rulers with Nikita Khuschev at the head closed churches, monasteries and religious schools. Elder Kuksha was universally revered and loved by the people and was a great authority in their eyes. This provoked in the atheist regime a fierce hatred toward him. He was again transferred, and the monastery of St. John was closed. Shortly before the dissolution of the monastery, Fr. Kuksha was in the altar of the Holy Protection Church during a Liturgy. Suddenly, a candle fell from a candle stand and onto the Table of Oblation, where it set fire to the aer,1 and to the chalice and paten covers. The fire was immediately put out, but Fr. Kuksha exclaimed, “The enemy is driving me out of here as well.” That soon came to pass. In 1960, the Chernovits Convent was shut down. The nuns were transferred to the men’s Monastery of St. John the Theologian in the village of Kreschatik , while the monks were moved to the Pochaev Lavra. The Prior, Archimandrite Mikhail (in schema, Mitrophan), was appointed to a parish not far from the village of Kreschatik , and Fr. Kuksha was assigned to the Holy Dormition Men’s Monastery in Odessa . On July 19, 1960, the Elder arrived at the Holy Dormition Monastery in Odessa , where he was to spend the final four years of his spiritual struggle. Fr. Kuksha loved God’s church, and tried to attend all of the Divine Services at the monastery. The Elder would get up very early in the morning, read his prayer rule, and strove to receive Communion every day. He loved to serve the Liturgy, especially the early Liturgy; he used to say that the early Liturgy was for spiritual strugglers, while the late Liturgy was for fasters. Although the authorities forbade people from visiting the Holy Elder, they were not deprived of his spiritual help from him here either. Growing ever feebler physically, he was given a novice-cell attendant to take care of him. But the elder would say, “We are our own novices until our very death,” and rarely asked for help. One day the elder with a joyful countenance told his spiritual daughter, “The Mother of God wants to take me to Herself.” In October of 1964, Fr. Kuksha fell and broke his hip. He lay on the cold ground and caught a cold, which tuned into pneumonia. He never took medicine, but only asked for daily Holy Communion. Fearing that a funeral would draw a great flood of people, the authorities objected to having Fr. Kuksha buried at the Monastery; they demanded that his body be taken to the place of his birth. However, with divine inspiration, the Monastery Abbot responded, “For a monk, the monastery is his homeland, the place of his birth.” The authorities set a two-hour time limit in which to bury him. Fr. Kuksha said before his death that all were to come to his grave and tell him their sorrows and needs as if he were alive. And truly, many who came to his grave received help and healing. 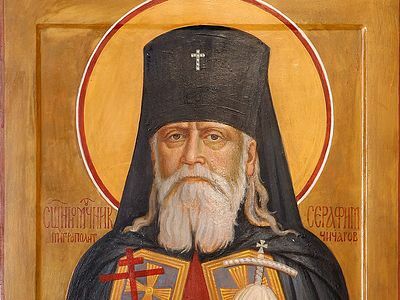 Elder Kuksha, among us on earth only recently, is one of such Russian great Russian saints as St. Seraphim of Sarov and the Elders of Optina and Glinsk, who in recent centuries have illumined the world with the light of love, patience, and compassion. He was an exemplary monk, a spiritual father with the gifts of discernment, clairvoyance, and healing, and a new confessor in the times of persecution against the Church in Russia. In 1995, Elder Kuksha was included in the list of monastic saints by the Holy Synod of the Ukrainian Orthodox Church. Besides on this day of his repose, St. Kuksha is commemorated on September 16/29—the day of the uncovering of his holy relics. Compiled from Azbuka.ru and the website of the Church of St. John the Baptist, Washington, DC. 1 The ornamented cloth held over the chalice during parts of the Liturgy. The next time it seems to us that the cross that we are given is greater than we can bear, when not only the attainment of Christian virtues, but even the usual attendance at services and following the Church-established fasts seems unbearable, let us turn with fervent prayer for help to the Lord and to the New Martyrs and Confessors of Russia, who did not give only a day or an hour, but their whole lives to Christ. Thank you for this beautiful article. Please note: the second to last paragraph contains an error. The error begins: "Elder Kuksha, among us on earth only recently, is one of such Russian great Russian saints as St. Seraphim of Sarov and the Elders of Optina and Glinsk..." I would suggest fixing "...is one of such Russian great Russian saints..." God bless.